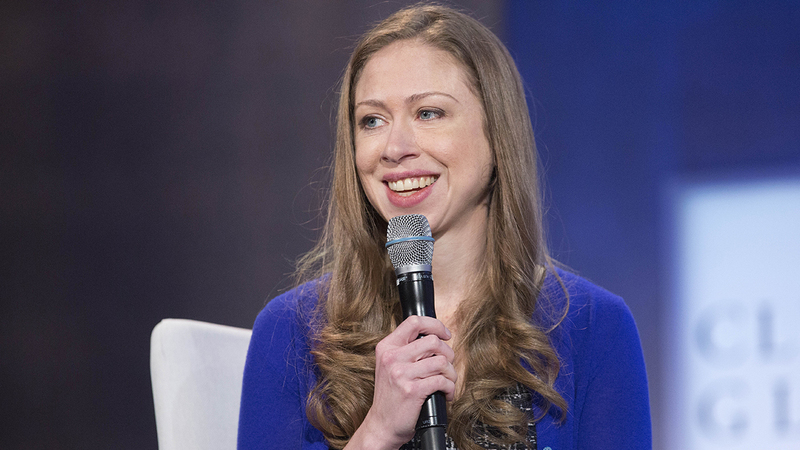 NEW YORK (KTRK) -- Chelsea Clinton has given birth to her first son. She and husband Marc Mezvinsky announced via Twitter their joy in welcoming Aidan Clinton Mezvinsky into the world. The birth makes their first daughter, Charlotte Clinton Mezvinsky, a big sister. Clinton gave birth to Charlotte in 2014. We are overjoyed to be grandparents again with the arrival of our grandson, Aidan Clinton Mezvinksy, born on Saturday, June 18, 2016. We are all over the moon as Chelsea and Marc welcome Charlotte's little brother to the world and grateful for our many blessings. Chelsea and Aidan are both doing well and enjoying this very special time together. Congratulations to their family on their bundle of joy!